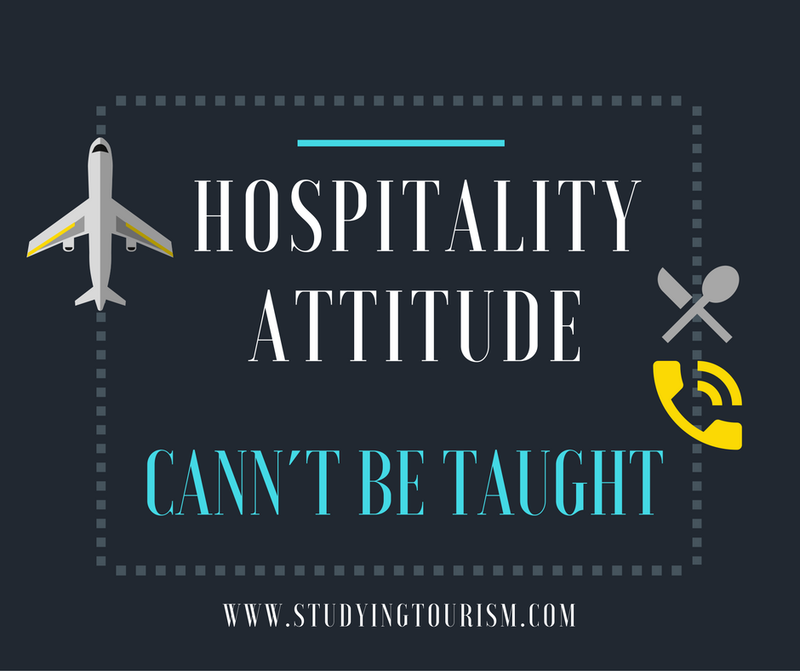 Let´s say that a freshly graduated hospitality student and at the same time a person with 9 years of work experience in hospitality is here to shout out that unfortunately (or not), the hospitality attitude cann´t be taught. At the same time, this is the main asset and the most important "feature" for me that I would look for in a candidate at any position within the industry. People can learn whatever there is to learn, they can adapt to different situations and they can even change their usual behaviour but not acquire this special characteristic. Hospitality attitude means being humble sharing love and empathy with people you don´t know, wanting them to be happy and doing everything it takes to see them so, wearing always a smile. Easy in theory but difficult in practice. It is also one of the reasons clients come back and it is an important factor which differentiates one establishment from another. Not something you can learn, as neither of these: love, empathy, humbliness, happiness, desire to help can be tought. You either have it or not. What is yout opinion about it?